Art aficionado Queenie Rosita Law crafted some beautiful Chinese New Year decorations to display at Pacific Place, wishing us a year of prosperity and good fortune ahead. Right back at you, Queenie! Wesley Ng looked stylish as ever as he donned a suit by Thom Browne in Downtown Los Angeles. 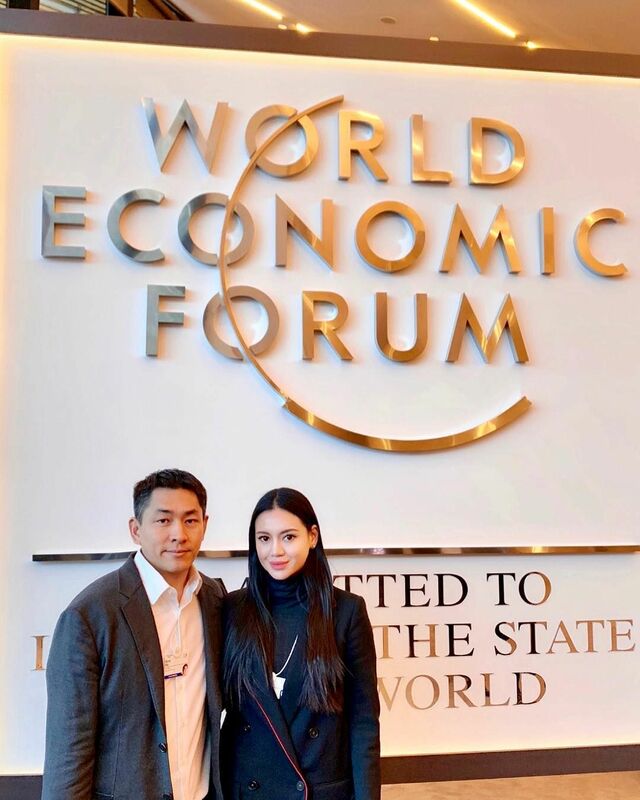 Emily Lam-Ho and husband Kent Ho shared a remarkable experience at the World Economic Forum, where they sat down with some inspiring figures to discuss social issues and find solutions to make our world a better place. We spotted Edwin Pun celebrating with André Fu—who debuted his homeware brand, André Fu Living, at Lane Crawford. Congratulations, André! Along with Laura Cheung, Colleen Fung and Anne Wang-Liu, Joanna Lui Hickox got a glimpse of Harry Winston’s exquisite jewellery collection at the Mandarin Oriental. It looked like the perfect girl's night out. Queenie Rosita Law Heiress of the family that runs fashion label Bossini, Queenie published the Chinese book Dear Life (with the Hong Kong Economic Journal). Kent Ho Tech guru; founder of S28 Capital; managing partner of Harbor Pacific Capital; son of Charles. Colleen Fung Founder of Ex-R Consulting; married to Terence.